Cigarettes can smolder for hours? Don’t smoke if you’re tired, taking medications or if you are impaired. After a party, check indoor and outdoor furniture and cushions for smoldering cigarette butts. 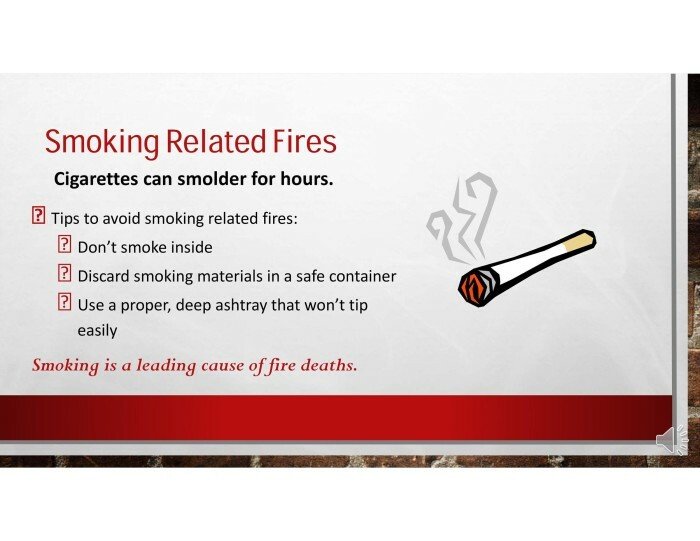 Smoking is a leading cause of fire deaths.